Acacia oerfota (Forssk.) Schweinf., Acacia gorinii Chiov., Acacia nubica Benth., Acacia orfota sensu auct., Acacia pterygocarpa Benth. Vachellia oerfota was formerly known as Acacia oerfota. 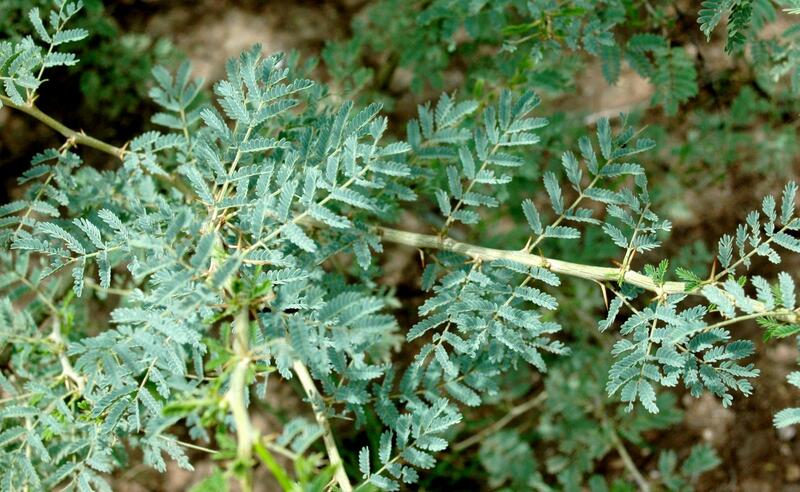 It was reclassified after molecular phylogenetic studies resulted in the transfer of many Acacia species into the genera Vachellia, Senegalia, Marioussa and Acaciella (Kyalangalilwa et al., 2013). Orfot (Vachellia oerfota (Forssk.) Kyal. & Boatwr., formerly Acacia oerfota (Forssk.) Schweinf.) 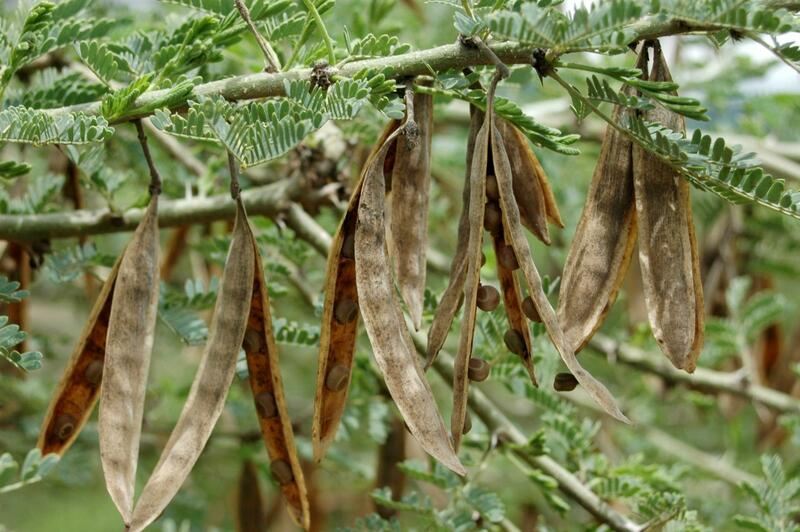 is an important legume tree and browse species for goats and camels in the arid and semi-arid zones of the Eastern Sahel and East Africa, where it is commonly found with other acacias such as Acacia mellifera and Acacia laeta (FAO, 2017). 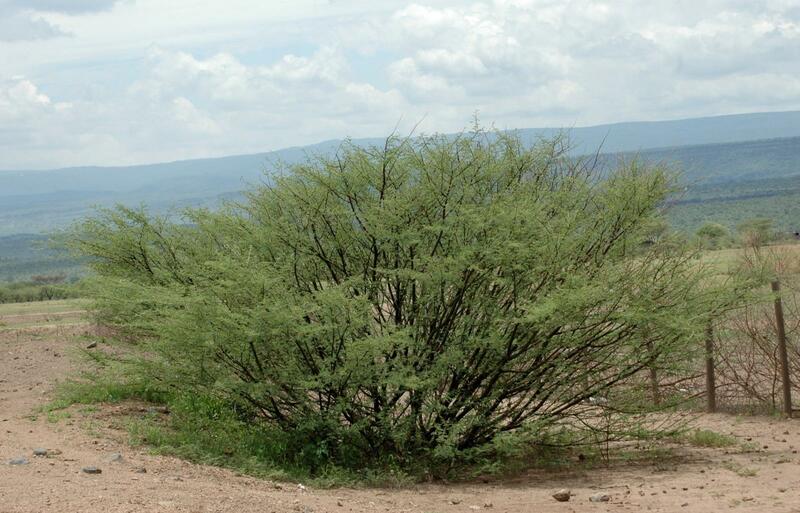 Vachellia oerfota is a grey-green multistemmed bush, up to 1-2 (-5) m high that branches profusely from its base. The crown is irregular or flat topped. The bark is grey and produces an unpleasant smell if cut. The branchlets bear pairs of short conical straight thorns, white with a brown tip, often pointing backwards. The leaves are pinnately compound, with 2-8 (-12) pairs of pinnae, and about 2-4 cm long. Five to 15 pairs of leaflets are borne on the pinnae. The inflorescence is borne in the axil of spines and forms a rounded cluster of 1-3 whitish, very fragrant flowers. The fruits are elongated ellipsoid flat, softly hairy pods. They are 5-10 cm long x 1.2-1.3 cm wide, they have a sub-mucronate tip and they contain 5-10 small, flat seeds, olive-green in colour becoming straw-coloured when they mature (FAO, 2017; Bekele-Tesemma, 2007; Bein et al., 1996). Orfot is an important browse species. It produces good firewood. The bark yields tannins, has ethnomedicinal uses, and its fibre is used to make ropes (Bekele-Tesemma, 2007). Orfot is native to Africa and is widespread in deciduous bushland and semi-desert scrub from Egypt, the Sudan and Eritrea, Ethiopia and Kenya. It can be found in Tanzania and Uganda, in the Arabian desert, in Iran and Irak, and in India. It is often found along rivers and valleys or along drainage lines, from 100 to 1600 m above sea level (FAO, 2017; Bekele-Tesemma, 2007; Bein et al., 1996; Thulin et al., 1993). Orfot can grow in places where annual rainfall is lower than 100 mm. It prefers silty alluvial soils (FAO, 2017). Orfot can be propagated from seeds. It can be useful to soak the seeds prior to sowing. After establishment, orfot responds well to coppicing and pollarding (Bekele-Tesemma, 2007). Orfot nodulates from the roots and is able to fix atmospheric nitrogen in the soil which may be used by neighbouring crops (Fern, 2014). Vachellia oerfota leaves are quite rich in protein (often more than 20% DM) and little fibrous (Abdulrazak et al., 2000; Fadel Elseed et al., 2002; Melaku et al., 2010). The seeds have a valuable protein content, and have been assessed for human nutrition (Zarei et al., 2015). Orfot leaves, when crushed, produce a strong and unpleasant odour that seems to deter browsing when tastier browse is available elsewhere (Wickens, 2000, pers. comm. cited by FAO, 2017). Wilting the leaves may alleviate this problem (Aregawi et al., 2008). For cattle a main constraint of orfot is its thorny habit which makes it unpalatable (Aregawi et al., 2008). Due to the high protein content of its leaves, Vachellia oerfota is a valuable forage tree for ruminants during the dry season. According to a survey, Ethiopian pastoralists much value orfot as a fodder (Emiru Birhane et al., 2014). A study in Ethiopia found that orfot was the most selected browse species (as assessed by browsing time) for camels, and ranked second after Acacia mellifera for goats. The high protein and nutrient contents of orfot browse were within optimum ranges of animal requirements, making it a valuable source of supplementary fodder during dry season when herbaceous cover declines (Emiru Birhane et al., 2014). No information seems available in the international literature on the utilisation of Vachellia oerfota foliage in rabbit feeding. This protein-rich forage used in ruminants feeding during the dry season could also be valuable for rabbits, but feeding trials should be necessary to test its suitability as a rabbit feed.